The new Taifun from SmokerStore, the GT IV, has once again made it to the top of RTA´S. The redesigned Singel Coil Deck now has space for large Custom Coils. The airflow has been adjusted to the new deck. The Typhoon GT IV is now well suited both - for MTL with strong airflow, as well as for DL ​​direct lung vapors. This can be adjusted by simply turning the AFC ring. The air hits the coils on each side. At the same time, the vape remains pleasantly cool and, above all, it produces an excellent taste. The Taifun GT IV now has a diameter of 25 mm. 5 ml tank volumes are the result. The total height incl. 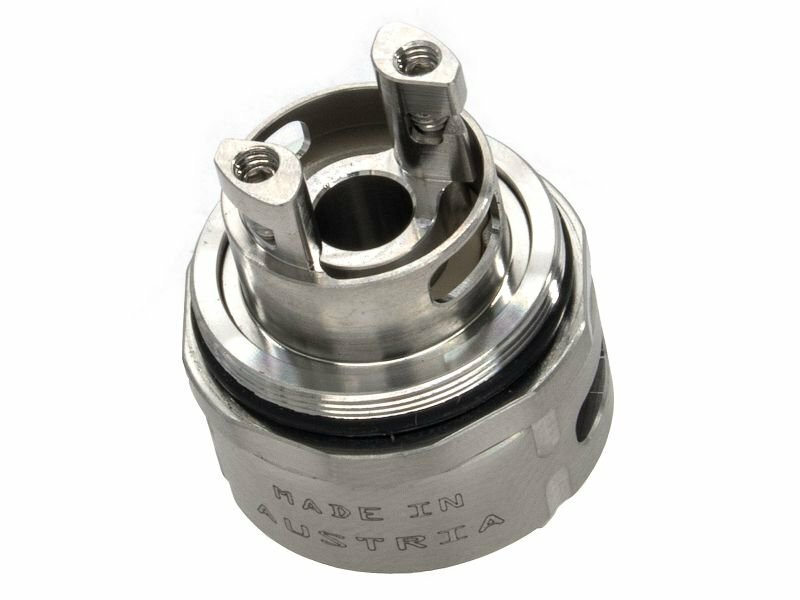 Drip tip is 59.5 mm. The Taifun has a liquid control that can be easily opened and closed from the outside. high grade RTA with airflow and liquid control. Made in Germany.